NEW! 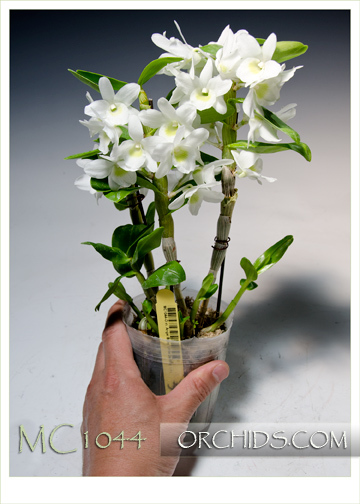 A truly miniature warmth-tolerant nobile dendrobium standing less than 12" tall. 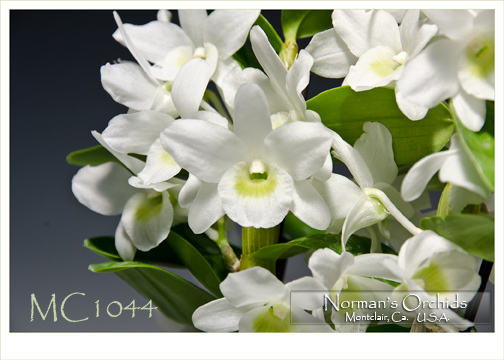 Multitudes of deliciously fragrant charming 1 ?" 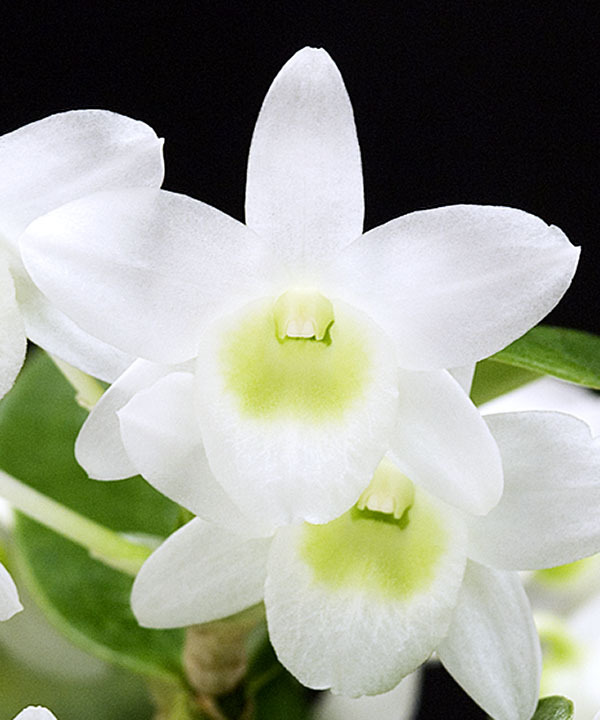 white flowers, accented with bright lime green in the lips, cover the mature canes. Can bloom more than once a year on a mature plant. 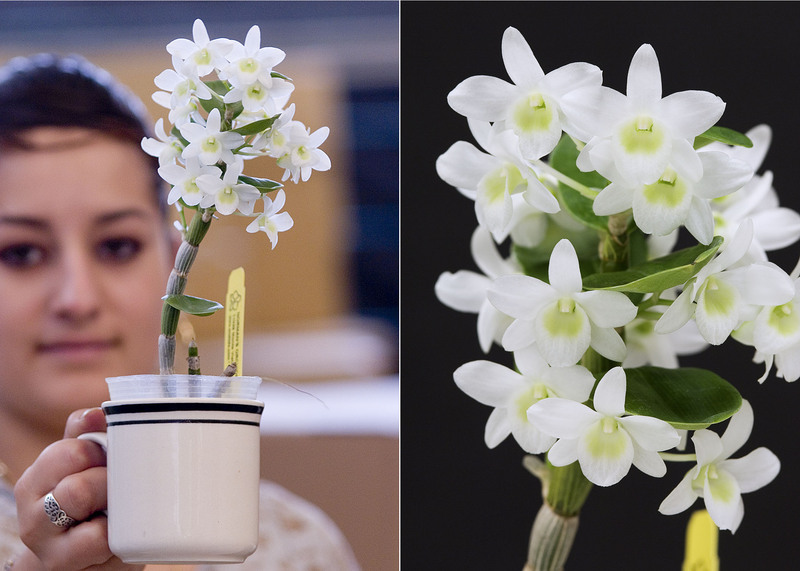 Small enough to fit into any collection and perfect for windowsill and under-lights growing. A must for every collection, no matter how big or small.